I have often wondered while reading memoirs or something very personal: How do the authors manage to put all this down to paper? All the hurt, the anguish, the memory of it all, on paper for others to read. I do not know how they must feel to put it down – to go through those memories all over again, so they can tell it to the world. I am sure though it must not be easy to do that. This thought crossed my mind as I finished reading, “Tangles – A Story about Alzheimer’s, my mother and me” by Sarah Leavitt, a story of her mother’s illness and her love for her, and that is in a graphic novel format. I had wanted to read this book since a while now, however something else kept coming in the way, pushing this one on the back burner. And when I finally did, it reminded me of someone who I had known with the disease and all the memories came rushing by. Anyway, back to the book. “Tangles” is one woman’s story about losing a parent and at the same time strangely enough, also finding a parent through Alzheimer’s. The content and context is heavy and may be that is when the book being in a graphic novel format helps. 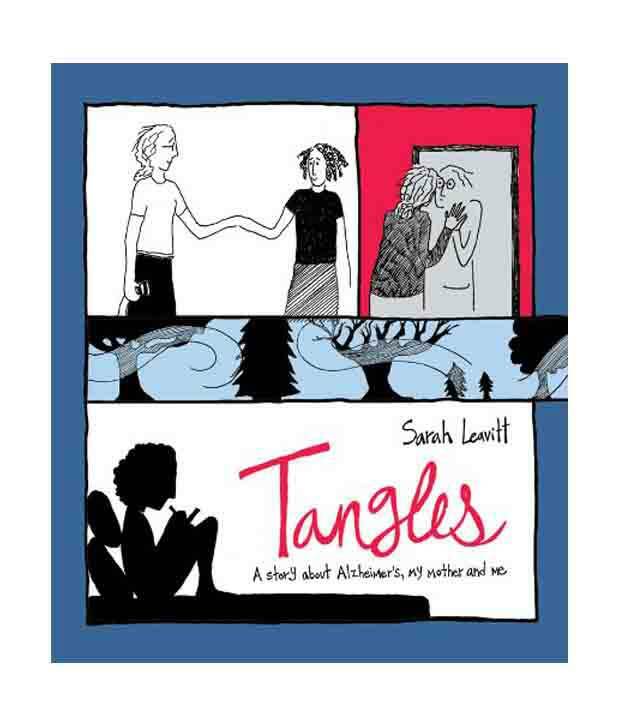 “Tangles” is the story of Sarah and her mother and Sarah seeing her through Alzheimer’s. It covers six years of her mother’s life with the onset of the disease through her death and the emotional turmoil Sarah and her family goes through. For me it was about the disease and what it does to you as a person – at the same time what it takes from you. Fragments of memory are snatched slowly and steadily till it reaches a stage when you struggle to remember your loved ones. Sarah writes about it with a touch that makes you want to reach out to the author. The novel covers everything – the dark humour, the spark, the burst of energy and frustration, the reaction of the family, the last moments and the very angry moments as well. To reflect on a disease through a graphic novel format is not unusual. A lot of writers have done it before. So it is only common if you tend to compare it with Fun House by Alison Bechdel or with Charles Burns’ Black Hole. The quality of illustrations is on the spot, making it seem real enough, which for me was very important while reading the book. The connect of the reader will but obviously be very high, given the nature of the book and yet at times the reader will forget that it is a memoir and Sarah’s mother went through it all. “Tangles” at the same time celebrates life – for what it is, for what it was and how it will be. The story is honest. It is raw. It is also quite tender. A story of a mother, her disease and her daughter. This entry was posted in Authors, Books, Graphic Memoirs, Graphic Novel, Jonathan Cape, Non-Fiction, Random House UK, Review and tagged Alzheimer, canada, family, graphic novel, jonathan cape, Love, memoir, Non-fiction, Parents, Random House UK, Sarah Leavitt, Siblings, Tangles on June 1, 2013 by thehungryreader. 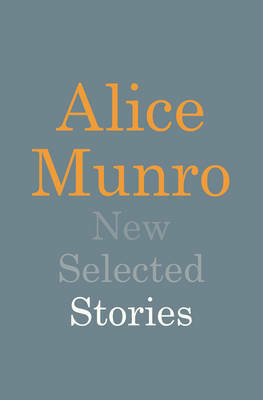 If there is one short-story writer I would like to meet and know more about, it would be Alice Munro. Her skill and magnificence of the craft have always left me speechless. She writes without caring, without knowing and without expecting or so it seems every time I read her collection of stories. There is something about them which maybe cannot be defined. It can only be felt by the reader. It will be felt by you if you pick up and read any of her short stories. She is that wonderful and adept at what she does. I am only humbled every time I read her works. “New Selected Stories” is a collection of stories from five books spanning from 1998-2009, almost a decade, depicting the key aspects of her writing. Why is she so good you ask? Or for that matter, why do I revere her the way I do? That is because she knows how to notice human beings. She sees them in their weakness and strengths and puts it down in the form of a simple story sometimes, with only too complex characters and how their lives are led, day by day and as the years pass on. The stories never lose momentum. She always knows what to say and when to say it. For instance, “Chance” is all about fate and what role it plays in a person’s life, when she meets a stranger on a train. On the other hand, “The Bear Came over the Mountain” is about a woman and her husband dealing with her Alzheimer’s. “The Love of a Good Woman” is all about what it means to love and more so what it means to lose. I do not know why but every time I read a short story by Alice Munro, I am forced to introspect and think of events in my life. If a writer manages to do that, then maybe there is something about her. Her stories are just like life – bittersweet and often unexpected. You cannot put down her collection and do anything else. The only problem sometimes is the length of the stories, but I guess that is okay, because once you get engrossed in any of them, you do not want it to end. And honestly I do not know of how many authors I can say that? I can say that about Alice Munro for sure. All my money on her writing skills. She is beyond super. These fifteen stories will dazzle you every time you read them. You will reread for sure. 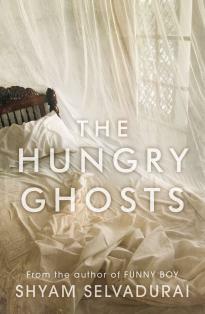 This entry was posted in Alice Munro, Books, Chatto and Windus, Literary Fiction, Random House UK, Review, short stories and tagged Alice Munro, canada, Chatto and Windus, Random House UK, short stories on April 30, 2013 by thehungryreader. When you read a collection of stories by Alice Munro, you need to give yourself a lot of time to intake what you have read. To so to say, “soak in” the experience. Her stories speak to you, they communicate in a manner you never thought they would. They astound you, they leave you speechless and sometimes they also wrench your heart – that is the power of Alice Munro’s short stories. “Runaway” by Alice Munro is the first read of the year for me and I could not be happier for choosing this one. Her characters are lost and sometimes miserable. They are regular people, spread across the terrain she knows best – Canada. Having said that, the emotions and situations almost remain the same. It could happen to anyone, what happens to her characters – they fall in love, they experience the disappearance of a loved one, they are unsure and above all they are just human. Alice Munro’s writing is of a quiet kind. Nothing monumental happens at the start of the story. It is just a build-up to what takes you by surprise or sometimes shock at the end of the story or in the middle. There are layers to her short stories, which sometimes cannot be found in a novel. “Runaway” is a collection of stories about men and women who while appear sane and normal on the surface (so to say), there is a lot of emotional burden seething under. At the same time, they flow with the tide and give in to situations. Be it a housewife who wants to run away from her husband and life in the title story to a collection of three inter-linked stories about a woman Juliet and her life as it spans across time and relationships. Or it could also be of a girl grown up with her hippie and care-free parents, and waits as life unfolds in front of her, in an unexpected manner. There is no other short-story writer I have loved more in recent times than Munro. Maybe Lydia Davis but that’s that I guess. A short story according to me anyway is more difficult to write a novel. As Jonathan Franzen, says in his introduction to the book, “I like stories because they leave the writer no place to hide”. This is so true. Short stories demand a lot from writers and sometimes only a master at her craft like Munro can deliver almost every single time. I would also highly recommend Franzen’s introduction to the book, which is a superb insight to the art of short-story telling and available only as a part of the UK edition. I am very happy that I have read only two of her collections, because there is so much more to read of hers, so much to take in – the charm and lives of small cities, of how life goes on, of how it unfolds, little by little and does not stop there. Munro’s characters take a shape and form of their own. Her words get formed, slowly and steadily, till they become solid structures, which readers can go back to time and again. Here is one writer, who I hope continues writing, a lot more. This entry was posted in Alice Munro, Authors I Love, Books, Literary Fiction, Random House UK, Review, short stories, Vintage Books and tagged Alice Munro, Betrayals, canada, jonathan franzen, loss, Love, Montreal, Runaway, short stories, Surprises, vintage books on January 2, 2013 by thehungryreader.